At 9:02 am this morning, Utility 13 was dispatched to Shoppers Park for an animal rescue. One of our members (Rich Alexander) noticed a mother mallard duck in the area of one of the storm drains near the southern entrance to Shoppers Park. After observing her for a bit, he noticed she would not leave the storm drain and he investigated further. 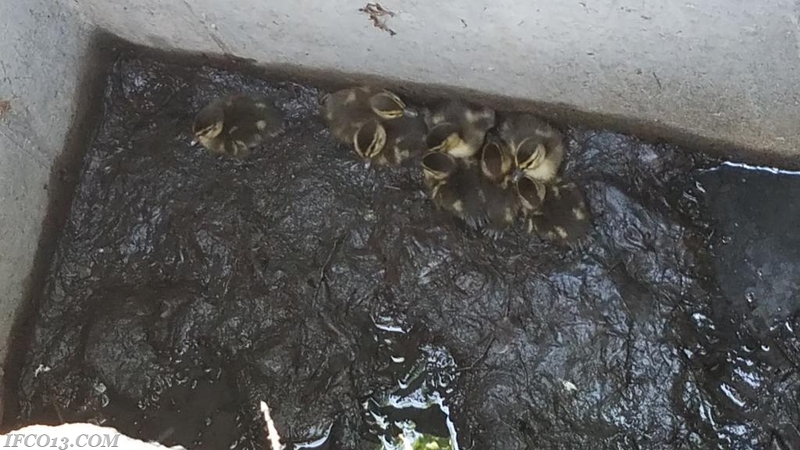 He realized all her babies were in the bottom of the storm drain, he made a call to Chief Hughes (2282) and the call for help was put out. 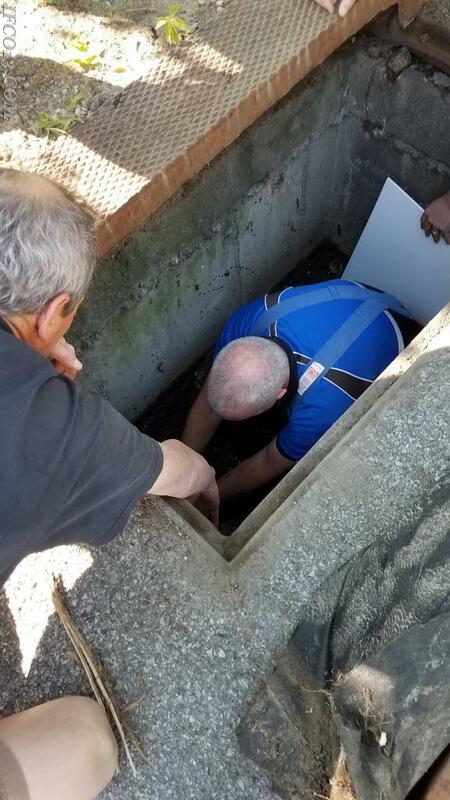 Members arrived on scene and helped remove the storm drain cover and Ex-Chief Tom Jackson went in to assist the little ducks out. After blocking off the drain pipes, the first one rescued made a circle and hopped back in to be with his brothers or sisters. 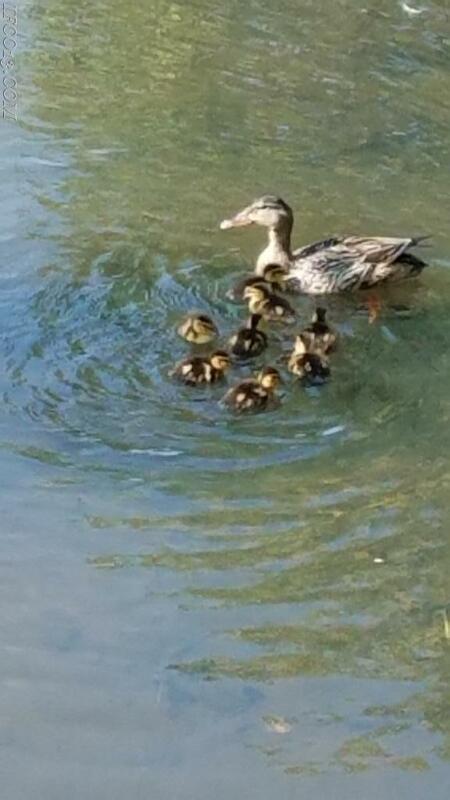 Momma duck arrived and one by one they were handed out to firefighter Brian Sander to be reunited with her. They were all back together shortly after they came out and swimming in the river happy to be reunited! Job well done by all involved! Assisted at the scene by Chief Hochstein (2283), Westchester County Police and numerous other members of the Mt. Kisco Fire Department. Units: Car 2282, Car 2283, U-13, W.C.P.D.